Twice a year Y Combinator shows off its most recent batch of startups at a packed-house demo day in Mountain View. The goal of these startups is to attract investor and press attention. Sometimes, though, a particular startup wants neither, and stays in stealth mode until some later date. URX, from the last Y Combinator batch, is one of those companies. There has been no press about URX at all, until right now. URX is a mobile advertising platform. But it’s not about pushing app installs (~$300 million/year just for Facebook, around $1.2 billion/year industry-wide). It’s about getting users who already have apps installed on their devices to actually use and make purchases in them via product advertisements in other apps and websites. 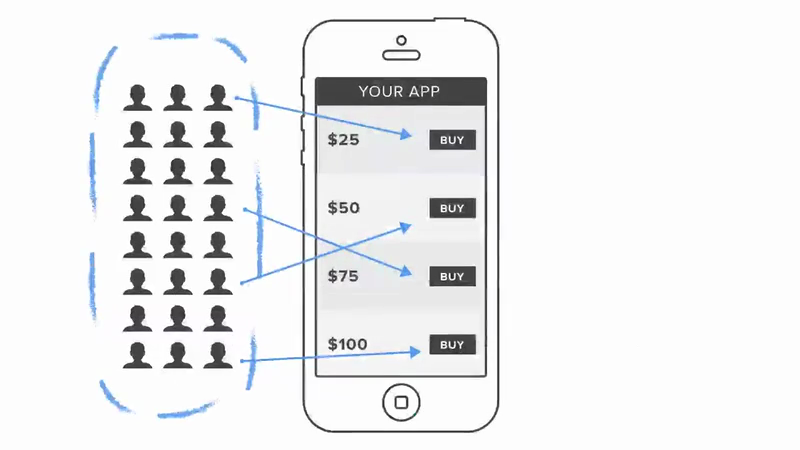 URX helps app developers showcase all of the products in their apps with targeted ads. The desktop equivalent of this is Google’s Product Listing Ads, which have greatly simplified ad management for e-commerce operators on the web. Deeplinks are particularly compelling for mobile commerce companies (Retail, Travel, Local, Food, Deals, etc.) that want to jump in and offer a product to one of their users in real-time.